For a list of games, see games with TrackIR support. Includes the camera, the base and the TrackClip. A cap or a visor is recommended to attach the TrackClip. The TrackClip PRO is sold in a separate bundle. Numerous reports of broken TrackClip PRO and lack of durability. 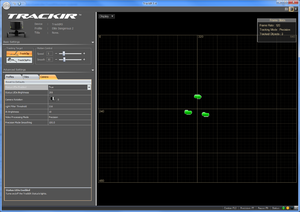 TrackIR software may need to be launched as administrator for some games. Six degrees of head movement (Pitch, Yaw, Roll, X, Y and Z) captured via reflective material (TrackClip) or infrared LEDs (TrackClip PRO). Adjustable movement scale for all degrees. Adjustable camera settings with light and brightness filtering. Automatic profile switching by game detection. A cheaper and more durable alternative for the TrackClip PRO. They also sell a PlayStation 3 Eye camera with the infrared filter removed that can be used with their own head tracking program. 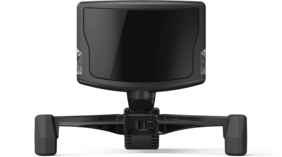 A cheaper head tracking device that uses gyroscopic sensors instead of optical point tracking. However it only tracks three degrees of head movement (Pitch, Yaw and Roll) and have occasional drifting and misalignment. A free face tracking software that only base on your webcam tracking your face. 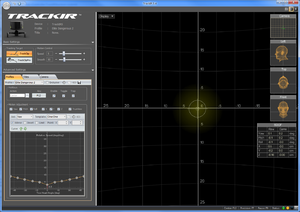 A free head tracking program that can use a webcam to track IR points. The website also feature a documentation about how to make your homemade IR LEDs mount. Another TrackClip PRO alternative that sells a cap with infrared LEDs directly mounted on it or the traditional TrackHat Clip mountable on your headset. They also sell a PlayStation 3 Eye camera with the infrared filter removed that can be used with their own open source program. This page was last edited on 14 June 2018, at 16:01.